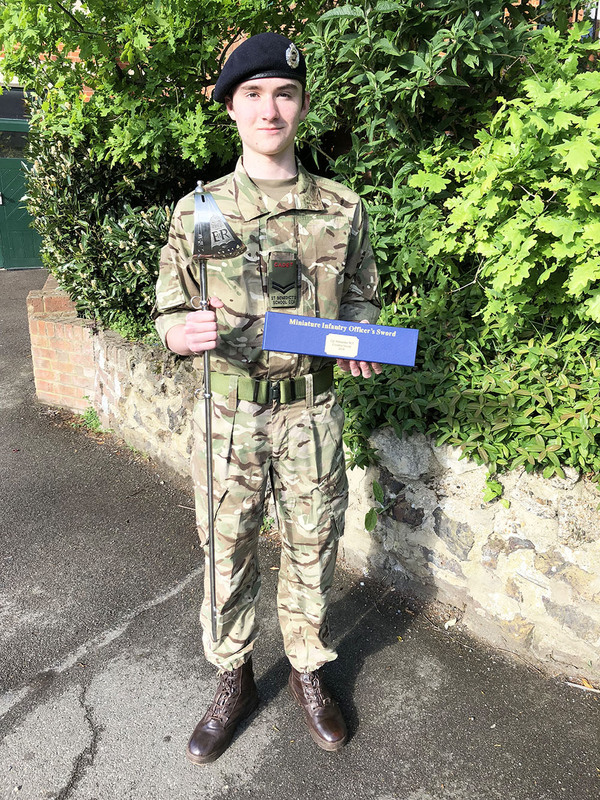 The St Benedict's Combined Cadet Force's most prestigious award, the Conabor Sword, has been awarded to Cadet Corporal Alex Will, an Upper 5th (Year 11) pupil. The Conabor Sword is awarded annually to the most outstanding member of the CCF, as decided by vote of the officers of the Contingent. Conabor means “Endeavour” or "I Will Try" - exactly what the St Benedict’s CCF stands for. 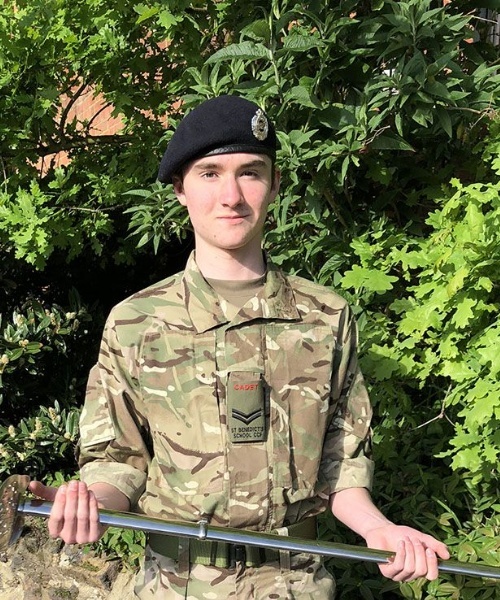 Alex is an outstanding junior NCO, who ran a whole term's training for Lower 5th (Year 10) cadets, preparing them for their Advanced Infantry certificate practical test in the field in two weeks' time. He also performed very well on a Junior NCO training course run last October by a consortium of local schools. He volunteered for the challenging Exercise Winter's Bite IV in February this year, where in freezing and wet conditions senior cadets conducted a series of patrols and attacks. Command roles were rotated, and he was allocated the post of second-in-command for the final attack, storming a warehouse complex to rescue a hostage. He proved to be a decisive and determined leader who urged his fire team on to success. He exemplifies all the values which the CCF stands for. The Conabor Sword was presented to the Contingent by the Ecobians, the old boys of Ealing College, in gratitude for our help in re-dedicating their war memorial in November 2014. All Cadets of any age, either from St Benedict's or Cardinal Wiseman School (with which our CCF is in partnership), are eligible for the award, except for the Cadet Head of the CCF, who receives a separate prize. The winner receives a full-size sword at the presentation, but takes away a miniature copy engraved with his or her name.